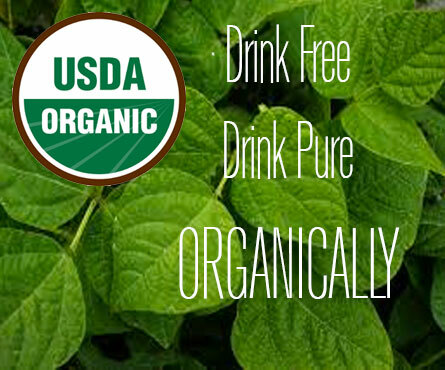 When I choose USDA Certified Organic, I choose life. Life in my body. Life in my mind. Life on planet earth. I support sustainable agriculture. All Hanuman Products are 100% Organic. Organic means NO PESTICIDES, and NO GMOs. Hanuman is good for you and good for the planet. 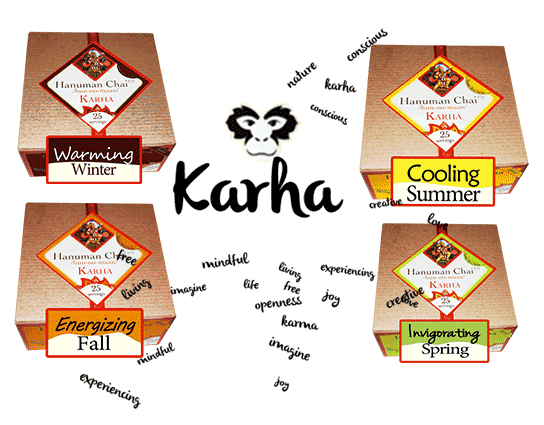 Pure Karha is the "original" chai. These seasonal blends of spices - 100% Caffeine- Free, have been balanced and perfected over a thousand years of traditional healing passed down over generations in our family. These blends were used by the ancient Yogis to stay healthy, fit, and strong around the year before there were pain killers, antibiotics or blood pressure medicines. These are the foundations for Indian Ayurveda and Yoga. It's our honor to share these traditions with you. Unlike other big and strong heroes, Hanuman's physical strength came from his heart. He was completely devoted to protecting his friends from harm, and this gave him the strength to do legendary things. There is no use for physical strength without mental strength. No health without inner balance. And no living without a commitment to support and protect those we care about. These days, we like to use Hanuman as a noun, adjective and a verb. People who serve others purely are Hanumanly... They are pure and strong like Hanuman. How do you Hanuman? Wish not for strength, but for challenges. Give me chalenges so that I can grow stronger to overcome them. So I learn to hope. So I learn to endure and persevere and find the light. Is't it the challenge that allows us to become stronger? Isnt it that fire that grows our ability to persevere and overcome. The strongest wood comes from the trees that grew on the windiest planes. Who Is Hanuman?